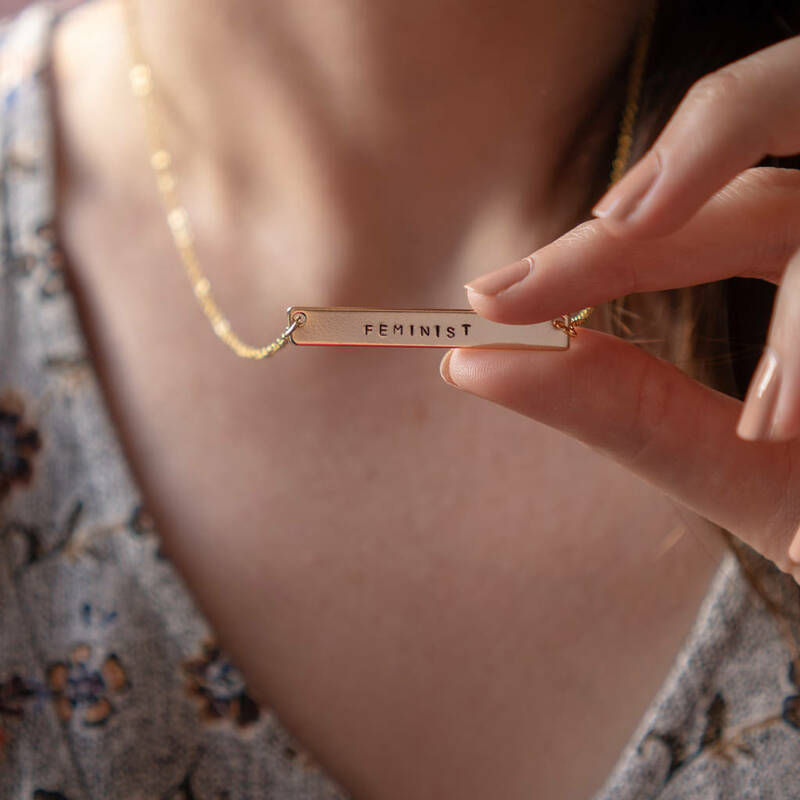 A wonderful gift to celebrate the heroine in your life. Behold the force of the female! 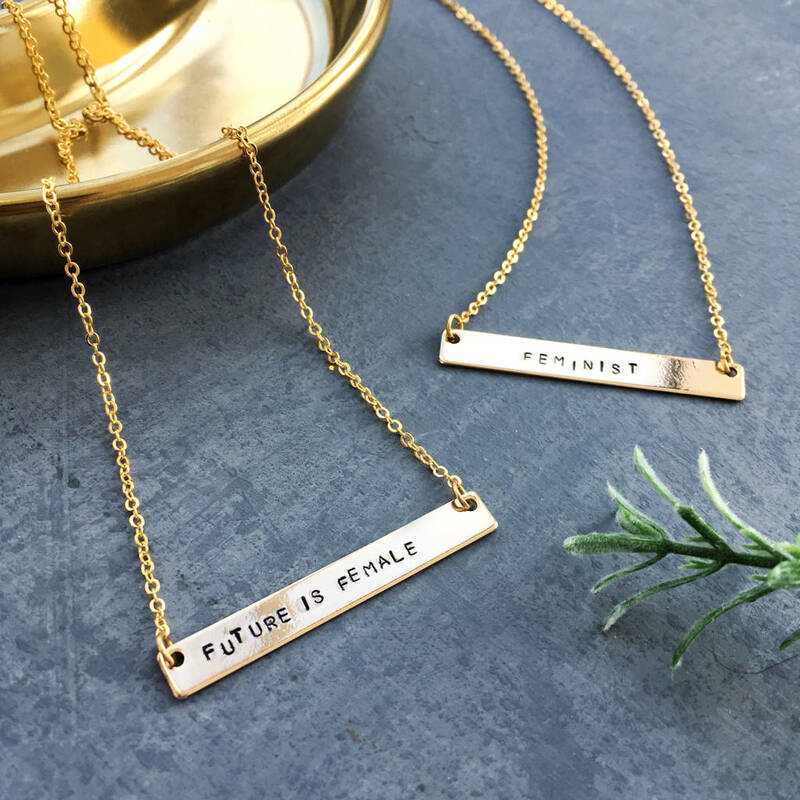 For strong women everywhere: our Feminist slogan necklace is a great reenforcement that 'yes you can'. Here's to strong women. May we know them. May we be them. May we raise them. 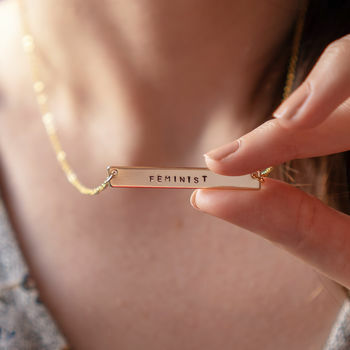 For all the women: state your intentions with your choice of feminist declaration. It may be only jewellery, but the small acts make powerful statements. Amazing things happen when women support women. 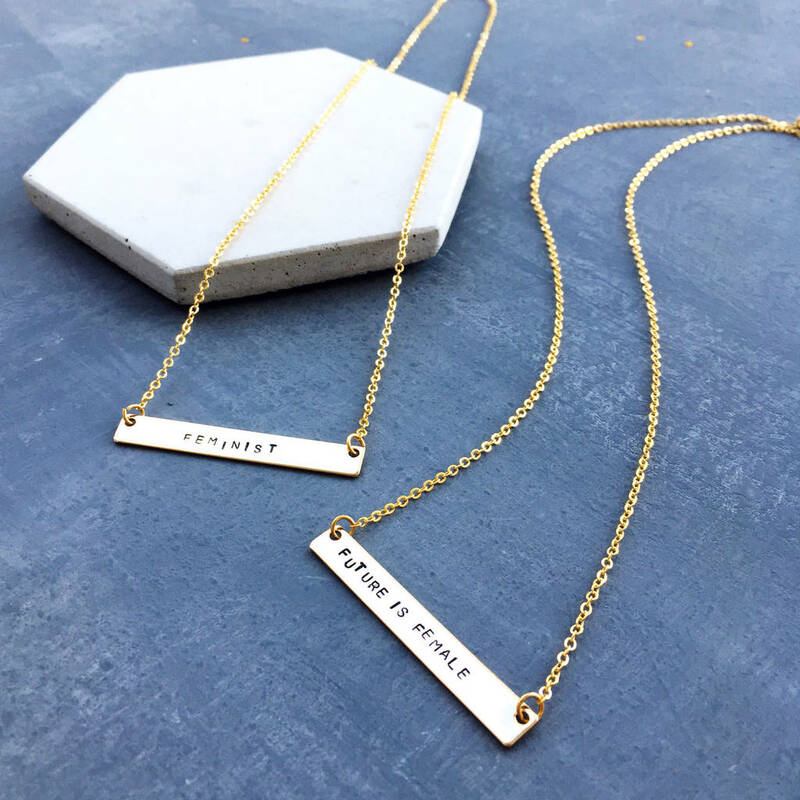 How about one for you and one for your similarly strong best lady? 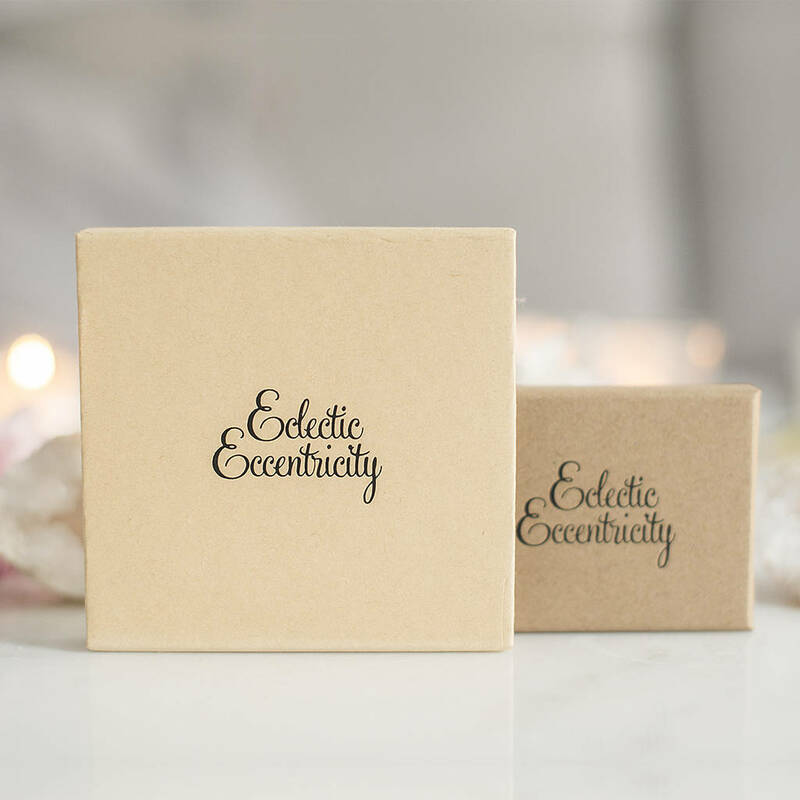 Your necklace will arrive gift boxed and all ready for the grand gift giving. 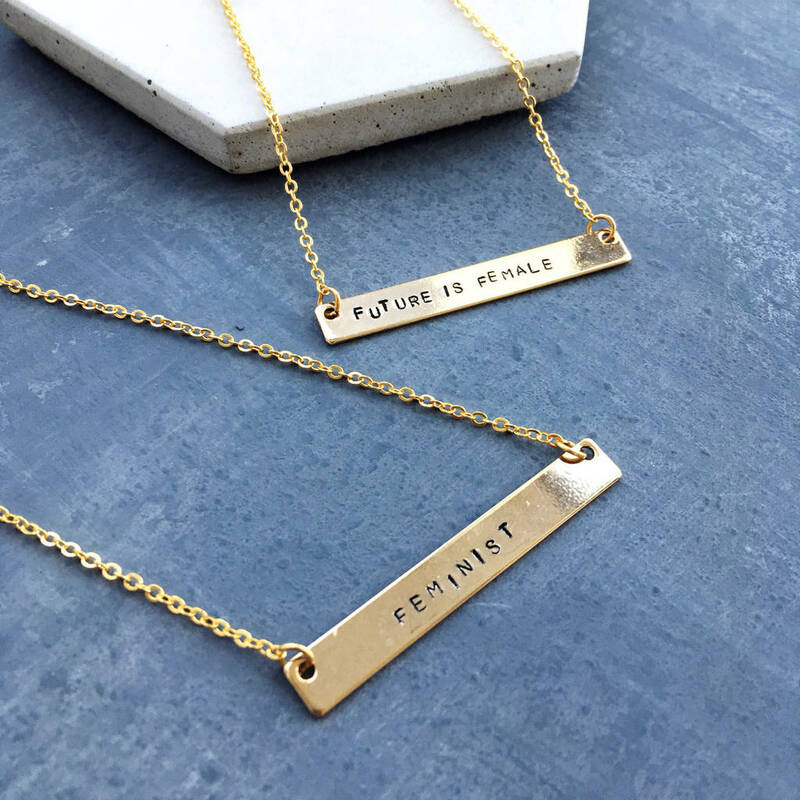 Pendant can be personalised with FUTURE IS FEMALE, FEMINIST or your own choice. Gold plated pendant on a gold plated chain. Pendant measures 4.4cm long and is suspended from a 44cm (18") long chain.